Moorfields, the administrator to the collapsed Toys R Us, is expected to begin closing stores as early as next week. Hopes for finding a buyer for the failed business have faded, which has pushed plans for closure forward. Staff will also be made redundant as the stores close. The toy chain appointed Moorfields Advisory to oversee the administration at the end of February, after the firm failed to find a last minute rescue. Moorfields said it would begin an “orderly wind down” of stores and it is now understood that it is poised to close the first batch of stores as it runs down stock. 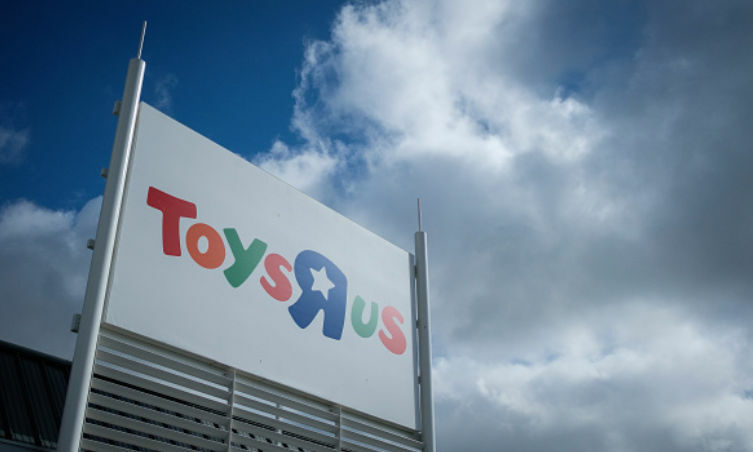 Hundreds of jobs will be lost in the process; Toys R Us currently has over 3,000 employees who are facing redundancy. It is though that Moorfields will begin with the closure of at least 26 loss-making stores earmarked late last year, when Toys R Us when through a restructuring in a last minute bid to save the business. At the time, Moorfields said, “We will be conducting an orderly wind-down of the store portfolio over the coming weeks. “All stores will remain open until further notice and stock will be subject to clearance and special promotions. “We’re encouraging customers to redeem their gift cards and vouchers as soon as possible. If no buyer is found, then stores will be sold off piecemeal or closed down. The retail sector has been struggling recently with poor sales, as consumers turn to online shopping instead of the high street. Maplin has also gone into administration, Mothercare is seeking an agreement with its lenders to avoid closure, and New Look is shutting 60 stores across the UK in a bid to stay open. If you have a Toys R Us voucher, you should spend it as soon as possible, as if the company closes down then it will be worthless. Similarly, if you are intending to take an item back to get a refund, then also do this as soon as you can. While a company is still trading, it should continue to honour your return rights, but this cannot be guaranteed once it goes into administration. If the company does close down before you can get a refund, then if you’ve paid by credit card you’ll be covered under Section 75 of the Consumer Credit Act as long as you spent over £100 and under £30,000. If you paid with a debit card, then you may be able to get the money back from your bank by using Chargeback, but this will depend on the bank you use. I got Toysrus gift card, went to cambridge store last weekend to use, but store was closed already. Does it mean my gift card is worthless? Just means you need to find another store to spend it at. You could potentially sell it online, but expect a huge loss if you do. You might be ok if you can find a store that is open. US stores have given people 30 days to spend them but I don't think there has been any announcement here.